Blade runner started my 15 yr odyssey with Bonsai. So I have had a few, cough, cough,.. bite the dust. Rather than toss them in the trash I let the cooler ones dry out and turn brown. Next i took a few cans of that CHristmas tree green spray crap (can't remember the name) and sprayed the dead Bonsai green. They look just like they did before they bit the dust. Sprayed them with Semi-Gloss and now I have them in the living room on the shelf. NO MAINTENANCE. Just spray them with mist water once a year to get the dust off. So if you want a NO MAINTENANCE bonsai, go to a Nursery and get a 20 dollar Jap Junniper, Style it, put it in a bonsai pot and if it toasts, try the above. Oh no,.. Plant MURDERER! I can hear it now. It was an accident. No really. Cool, What did you use to keep the needles from falling off, just the paint? I have one that is real trunk and fake plastic needles. 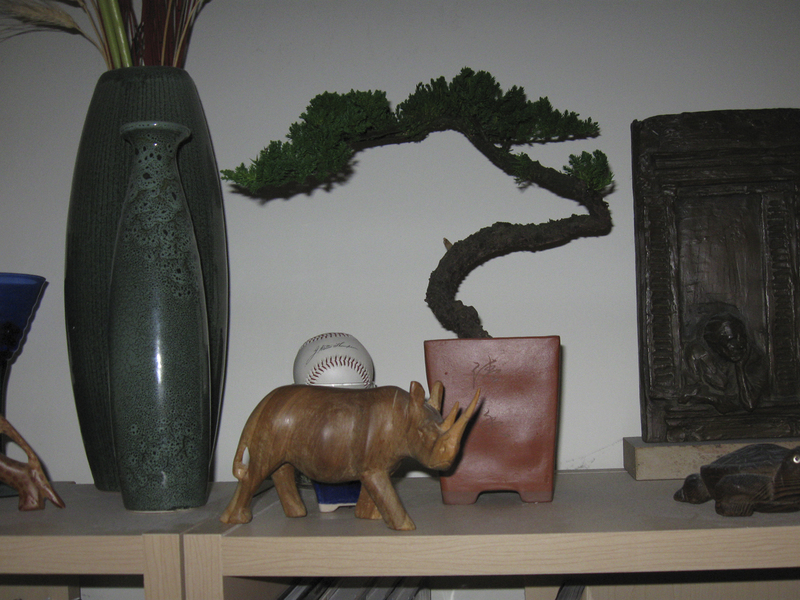 Conserving REAL dead bonsai - Junipers. They are surprisingly robust once they dry out and turn brown. No the Leaves won't fall off if you hit the pot real hard. You CAN break them if you "flick it" with you finger. The closest comparison might be, remember the old model glue for styrene models before every one started using SUPERGLUE. Dead would be the old glue. Ok but kind of brittle. Once they are painted and sprayed with Semigloss. They are pretty sturdy as long as the just sit on the shelf. You gan handle them like one of those enclosed real butterflies. I can't think of how you would ship one with out it getting destroyed. I've got a dead one about the size of the large bonsai on Deckard's living room that I still need to paint yet. Hope this answers any Questions. Probably to much info. 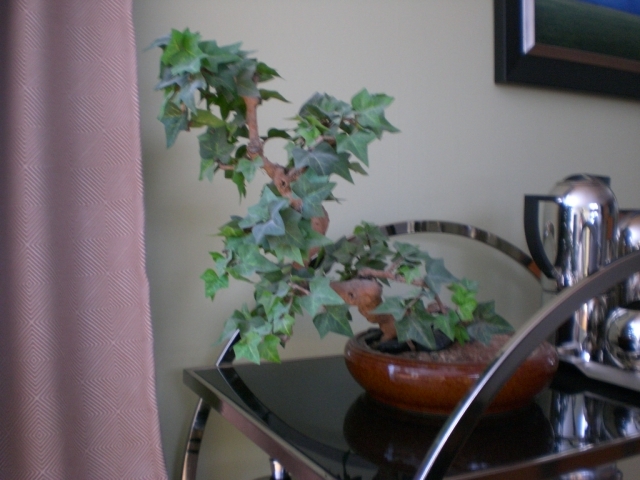 I grew Bonsai for about 15 years before it got to be to much work.